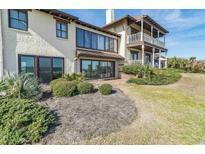 Below you can view all the condos for sale in the Debordieu subdivision located in Georgetown South Carolina. 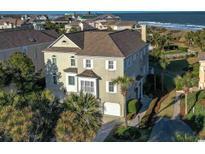 Listings in Debordieu are updated daily from data we receive from the Myrtle Beach multiple listing service. To learn more about any of these condos or to receive custom notifications when a new property is listed for sale in Debordieu, give us a call at 843-639-5850. Charleston and Myrtle Beach are approximately 50 miles north and south. MLS#1908626. 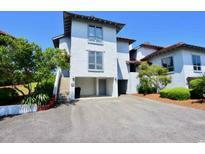 This exciting property offers all the amenities one could wish for in a lovely and sophisticated setting. MLS#1907607. If being close to the beach and Beach Club are appealing, then this Villa will be a perfect family destination. MLS#1904242. A place where man and nature live together in harmony ! MLS#1904089. Just north of Charleston, South Carolina, DeBordieu Colony is an oceanfront community near Pawleys Island, featuring access to over 6 miles of secluded beach, private Pete Dye Golf, a Tennis & Fitness Center, an Ocean Front Beach Club with casual and fine dining, saltwater creek access to North Inlet and the Atlantic Ocean, a 24/7 manned security gate, and luxury homes and villas surrounded by thousands of acres of wildlife and nature preserves. Come see for yourself! MLS#1902077. This absolutely move in ready villa represents the best of the best. MLS#1818132. Come take a closer look - A lifetime of memories await. MLS#1815967. If being near the ocean and all the DeBordieu Club facilities is important, this villa is the perfect spot. MLS#1810671. Charleston and Myrtle Beach are approximately one hour's drive south and north respectively. MLS#1804955. Charleston and Myrtle Beach are approximately an hour's drive south and north respectively. MLS#1805025. This represents a great way to be a part of the DeBordieu Community at an excellent price. MLS#1725921.